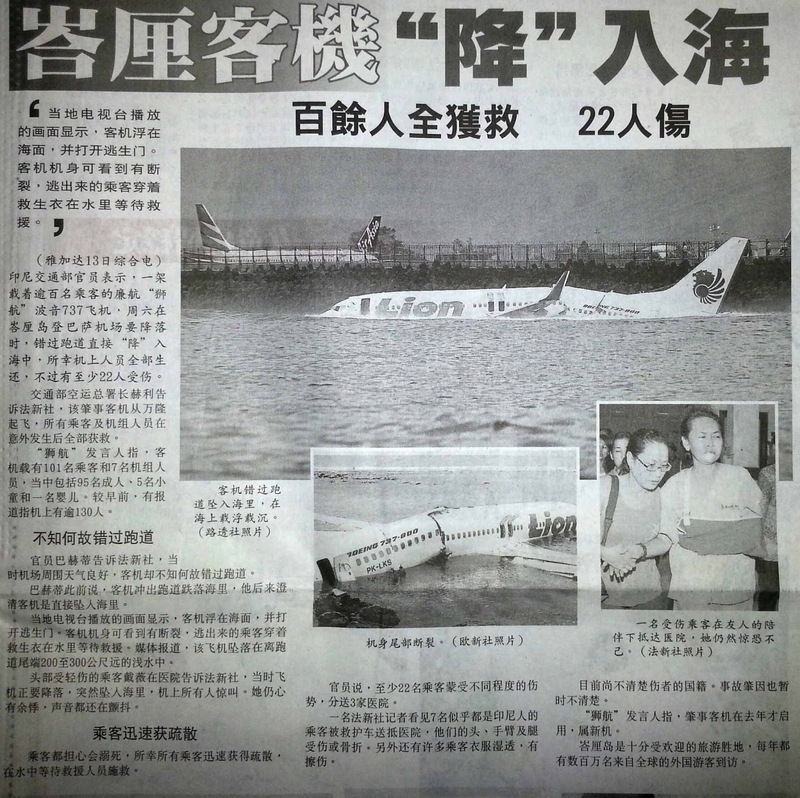 '诗巫' 我的故乡@www.sibuericluk.com: 属于马印廉价航空公司Malindo母公司的【狮航】一架客机在今天在巴厘岛着陆时冲出跑道掉进大海！幸好无人身亡全数获救！BREAKING NEWS: There are reports a passenger plane has crashed off the coast of Bali. The jet is believed to belong to local carrier Lion Air - it's not known if anyone was injured. 属于马印廉价航空公司Malindo母公司的【狮航】一架客机在今天在巴厘岛着陆时冲出跑道掉进大海！幸好无人身亡全数获救！BREAKING NEWS: There are reports a passenger plane has crashed off the coast of Bali. 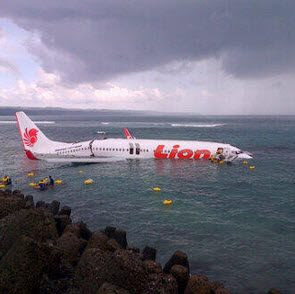 The jet is believed to belong to local carrier Lion Air - it's not known if anyone was injured.